Need to add some cool to your kitchen? Following on from yesterday's post about re-styling, I thought some of the picks above might be helpful if you are lacking inspiration on where to begin. 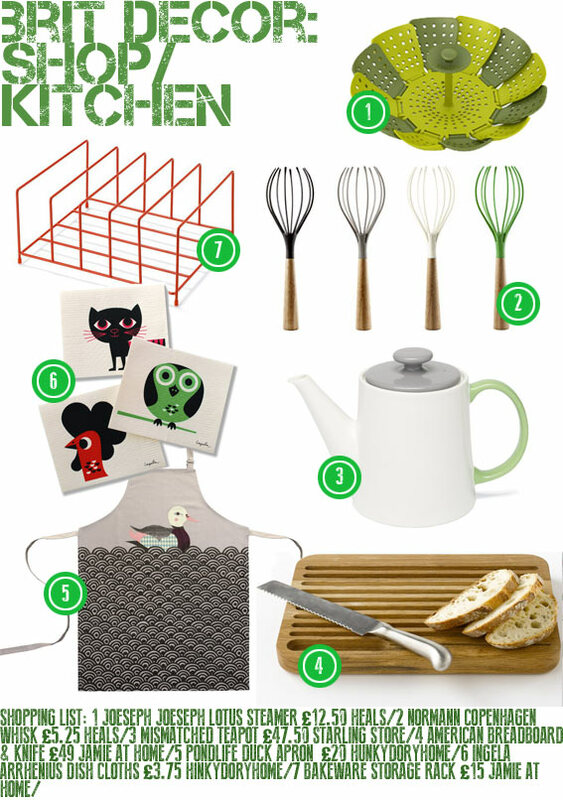 These accessories would look great in any kitchen and bring an instant freshness to the space. Oh and in case you are wondering, yes I did work in my kitchen yesterday but the tiffins did not turn out quite as intended due to a missing ingredient (golden syrup) which I now see kind of acts as a glue to keep the whole recipe together! We live and learn.